What does bocce and beer equal? Good times and its coming to Williamsburg! Its all going down on October 19th. 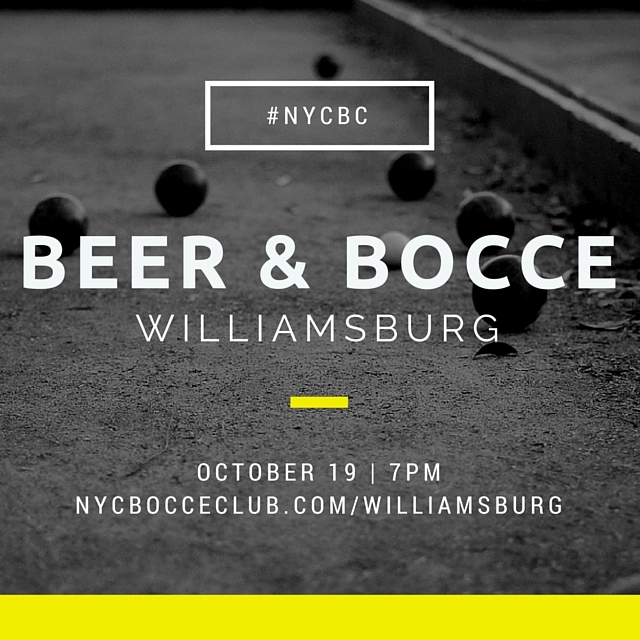 Tags: beer, bocce, bocceball, fun, nycevents, sports, williamsburg. Bookmark the permalink.